2019 BMW 7 Series 740i Black Sapphire Metallic 3.0L I6 DOHC 24V TwinPower Turbo RWD Factory MSRP: $90,555 21/29 City/Highway MPG 16 Speakers, 4-Wheel Disc Brakes, ABS brakes, Adaptive suspension, Air Conditioning, Alloy wheels, AM/FM radio: SiriusXM, Anti-whiplash front head restraints, Auto High-beam Headlights, Auto tilt-away steering wheel, Auto-dimming door mirrors, Auto-dimming Rear-View mirror, Auto-leveling suspension, Automatic temperature control, Blind spot sensor: Blind Spot Detection warning, Brake assist, Bumpers: body-color, CD player, Dakota Leather Upholstery, Delay-off headlights, Door auto-latch, Driver door bin, Driver vanity mirror, Dual front impact airbags, Dual front side impact airbags, Electronic Stability Control, Emergency communication system: BMW Assist eCall, Exterior Parking Camera Rear, Four wheel independent suspension, Front anti-roll bar, Front Bucket Seats, Front Center Armrest, Front dual zone A/C, Front reading lights, Fully automatic headlights, Garage door transmitter, Genuine wood console insert, Genuine wood dashboard insert, Genuine wood door panel insert, harman/kardon Surround Sound System, harman/kardon® Speakers, Head restraints memory, Heated door mirrors, Heated Front Seats, Heated front seats, Illuminated entry, Knee airbag, Leather Shift Knob, Leather steering wheel, Low tire pressure warning, Lumbar Support, Memory seat, Navigation System, Occupant sensing airbag, Outside temperature display, Overhead airbag, Overhead console, Panic alarm, Passenger door bin, Passenger vanity mirror, Power adjustable front head restraints, Power door mirrors, Power driver seat, Power Front Seats, Power moonroof, Power passenger seat, Power steering, Power windows, Radio Control US, Radio data system, Radio: AM/FM/HD w/In-Dash Single CD, Rain sensing wipers, Rear air conditioning, Rear anti-roll bar, Rear dual zone A/C, Rear reading lights, Rear seat center armrest, Rear Window Blind, Rear window defroster, Remote keyless entry, Security system, SiriusXM Satellite Radio, Speed control, Speed-sensing steering, Speed-Sensitive Wipers, Sport steering wheel, Steering wheel memory, Steering wheel mounted audio controls, Tachometer, Telescoping steering wheel, Tilt steering wheel, Traction control, Trip computer, Variably intermittent wipers, and Weather band radio. 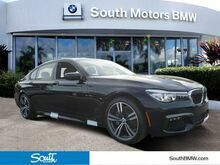 2019 BMW 7 Series 740i Black Sapphire Metallic 3.0L I6 DOHC 24V TwinPower Turbo RWD Factory MSRP: $90,505 21/29 City/Highway MPG 16 Speakers, 4-Wheel Disc Brakes, ABS brakes, Adaptive suspension, Air Conditioning, Alloy wheels, AM/FM radio: SiriusXM, Anti-whiplash front head restraints, Auto High-beam Headlights, Auto tilt-away steering wheel, Auto-dimming door mirrors, Auto-dimming Rear-View mirror, Auto-leveling suspension, Automatic temperature control, Blind spot sensor: Blind Spot Detection warning, Brake assist, Bumpers: body-color, CD player, Dakota Leather Upholstery, Delay-off headlights, Door auto-latch, Driver door bin, Driver vanity mirror, Dual front impact airbags, Dual front side impact airbags, Electronic Stability Control, Emergency communication system: BMW Assist eCall, Exterior Parking Camera Rear, Four wheel independent suspension, Front anti-roll bar, Front Bucket Seats, Front Center Armrest, Front dual zone A/C, Front reading lights, Fully automatic headlights, Garage door transmitter, Genuine wood console insert, Genuine wood dashboard insert, Genuine wood door panel insert, harman/kardon Surround Sound System, harman/kardon® Speakers, Head restraints memory, Heated door mirrors, Heated Front Seats, Heated front seats, Illuminated entry, Knee airbag, Leather Shift Knob, Leather steering wheel, Low tire pressure warning, Lumbar Support, Memory seat, Navigation System, Occupant sensing airbag, Outside temperature display, Overhead airbag, Overhead console, Panic alarm, Passenger door bin, Passenger vanity mirror, Power adjustable front head restraints, Power door mirrors, Power driver seat, Power Front Seats, Power moonroof, Power passenger seat, Power steering, Power windows, Radio Control US, Radio data system, Radio: AM/FM/HD w/In-Dash Single CD, Rain sensing wipers, Rear air conditioning, Rear anti-roll bar, Rear dual zone A/C, Rear reading lights, Rear seat center armrest, Rear Window Blind, Rear window defroster, Remote keyless entry, Security system, SiriusXM Satellite Radio, Speed control, Speed-sensing steering, Speed-Sensitive Wipers, Sport steering wheel, Steering wheel memory, Steering wheel mounted audio controls, Tachometer, Telescoping steering wheel, Tilt steering wheel, Traction control, Trip computer, Variably intermittent wipers, and Weather band radio. 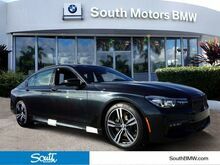 2019 BMW 7 Series 740i Jet Black 3.0L I6 DOHC 24V TwinPower Turbo RWD Factory MSRP: $91,945 21/29 City/Highway MPG 16 Speakers, 4-Wheel Disc Brakes, ABS brakes, Adaptive suspension, Air Conditioning, Alloy wheels, AM/FM radio: SiriusXM, Anti-whiplash front head restraints, Auto High-beam Headlights, Auto tilt-away steering wheel, Auto-dimming door mirrors, Auto-dimming Rear-View mirror, Auto-leveling suspension, Automatic temperature control, Blind spot sensor: Blind Spot Detection warning, Brake assist, Bumpers: body-color, CD player, Dakota Leather Upholstery, Delay-off headlights, Door auto-latch, Driver door bin, Driver vanity mirror, Dual front impact airbags, Dual front side impact airbags, Electronic Stability Control, Emergency communication system: BMW Assist eCall, Exterior Parking Camera Rear, Four wheel independent suspension, Front anti-roll bar, Front Bucket Seats, Front Center Armrest, Front dual zone A/C, Front reading lights, Fully automatic headlights, Garage door transmitter, Genuine wood console insert, Genuine wood dashboard insert, Genuine wood door panel insert, harman/kardon Surround Sound System, harman/kardon® Speakers, Head restraints memory, Heated door mirrors, Heated Front Seats, Heated front seats, Illuminated entry, Knee airbag, Leather Shift Knob, Leather steering wheel, Low tire pressure warning, Lumbar Support, Memory seat, Navigation System, Occupant sensing airbag, Outside temperature display, Overhead airbag, Overhead console, Panic alarm, Passenger door bin, Passenger vanity mirror, Power adjustable front head restraints, Power door mirrors, Power driver seat, Power Front Seats, Power moonroof, Power passenger seat, Power steering, Power windows, Radio Control US, Radio data system, Radio: AM/FM/HD w/In-Dash Single CD, Rain sensing wipers, Rear air conditioning, Rear anti-roll bar, Rear dual zone A/C, Rear reading lights, Rear seat center armrest, Rear Window Blind, Rear window defroster, Remote keyless entry, Security system, SiriusXM Satellite Radio, Speed control, Speed-sensing steering, Speed-Sensitive Wipers, Sport steering wheel, Steering wheel memory, Steering wheel mounted audio controls, Tachometer, Telescoping steering wheel, Tilt steering wheel, Traction control, Trip computer, Variably intermittent wipers, and Weather band radio. 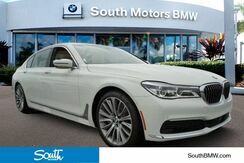 2019 BMW 7 Series 740i Gray Metallic 3.0L I6 DOHC 24V TwinPower Turbo RWD Factory MSRP: $92,280 21/29 City/Highway MPG 16 Speakers, 4-Wheel Disc Brakes, ABS brakes, Adaptive suspension, Air Conditioning, Alloy wheels, AM/FM radio: SiriusXM, Anti-whiplash front head restraints, Auto High-beam Headlights, Auto tilt-away steering wheel, Auto-dimming door mirrors, Auto-dimming Rear-View mirror, Auto-leveling suspension, Automatic temperature control, Blind spot sensor: Blind Spot Detection warning, Brake assist, Bumpers: body-color, CD player, Dakota Leather Upholstery, Delay-off headlights, Door auto-latch, Driver door bin, Driver vanity mirror, Dual front impact airbags, Dual front side impact airbags, Electronic Stability Control, Emergency communication system: BMW Assist eCall, Exterior Parking Camera Rear, Four wheel independent suspension, Front anti-roll bar, Front Bucket Seats, Front Center Armrest, Front dual zone A/C, Front reading lights, Fully automatic headlights, Garage door transmitter, Genuine wood console insert, Genuine wood dashboard insert, Genuine wood door panel insert, harman/kardon Surround Sound System, harman/kardon® Speakers, Head restraints memory, Heated door mirrors, Heated Front Seats, Heated front seats, Illuminated entry, Knee airbag, Leather Shift Knob, Leather steering wheel, Low tire pressure warning, Lumbar Support, Memory seat, Navigation System, Occupant sensing airbag, Outside temperature display, Overhead airbag, Overhead console, Panic alarm, Passenger door bin, Passenger vanity mirror, Power adjustable front head restraints, Power door mirrors, Power driver seat, Power Front Seats, Power moonroof, Power passenger seat, Power steering, Power windows, Radio Control US, Radio data system, Radio: AM/FM/HD w/In-Dash Single CD, Rain sensing wipers, Rear air conditioning, Rear anti-roll bar, Rear dual zone A/C, Rear reading lights, Rear seat center armrest, Rear Window Blind, Rear window defroster, Remote keyless entry, Security system, SiriusXM Satellite Radio, Speed control, Speed-sensing steering, Speed-Sensitive Wipers, Sport steering wheel, Steering wheel memory, Steering wheel mounted audio controls, Tachometer, Telescoping steering wheel, Tilt steering wheel, Traction control, Trip computer, Variably intermittent wipers, and Weather band radio. 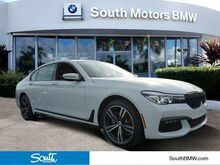 2019 BMW 7 Series 740i Gray Metallic 3.0L I6 DOHC 24V TwinPower Turbo RWD Factory MSRP: $92,040 21/29 City/Highway MPG 16 Speakers, 4-Wheel Disc Brakes, ABS brakes, Adaptive suspension, Air Conditioning, Alloy wheels, AM/FM radio: SiriusXM, Anti-whiplash front head restraints, Auto High-beam Headlights, Auto tilt-away steering wheel, Auto-dimming door mirrors, Auto-dimming Rear-View mirror, Auto-leveling suspension, Automatic temperature control, Blind spot sensor: Blind Spot Detection warning, Brake assist, Bumpers: body-color, CD player, Dakota Leather Upholstery, Delay-off headlights, Door auto-latch, Driver door bin, Driver vanity mirror, Dual front impact airbags, Dual front side impact airbags, Electronic Stability Control, Emergency communication system: BMW Assist eCall, Exterior Parking Camera Rear, Four wheel independent suspension, Front anti-roll bar, Front Bucket Seats, Front Center Armrest, Front dual zone A/C, Front reading lights, Fully automatic headlights, Garage door transmitter, Genuine wood console insert, Genuine wood dashboard insert, Genuine wood door panel insert, harman/kardon Surround Sound System, harman/kardon® Speakers, Head restraints memory, Heated door mirrors, Heated Front Seats, Heated front seats, Illuminated entry, Knee airbag, Leather Shift Knob, Leather steering wheel, Low tire pressure warning, Lumbar Support, Memory seat, Navigation System, Occupant sensing airbag, Outside temperature display, Overhead airbag, Overhead console, Panic alarm, Passenger door bin, Passenger vanity mirror, Power adjustable front head restraints, Power door mirrors, Power driver seat, Power Front Seats, Power moonroof, Power passenger seat, Power steering, Power windows, Radio Control US, Radio data system, Radio: AM/FM/HD w/In-Dash Single CD, Rain sensing wipers, Rear air conditioning, Rear anti-roll bar, Rear dual zone A/C, Rear reading lights, Rear seat center armrest, Rear Window Blind, Rear window defroster, Remote keyless entry, Security system, SiriusXM Satellite Radio, Speed control, Speed-sensing steering, Speed-Sensitive Wipers, Sport steering wheel, Steering wheel memory, Steering wheel mounted audio controls, Tachometer, Telescoping steering wheel, Tilt steering wheel, Traction control, Trip computer, Variably intermittent wipers, and Weather band radio. 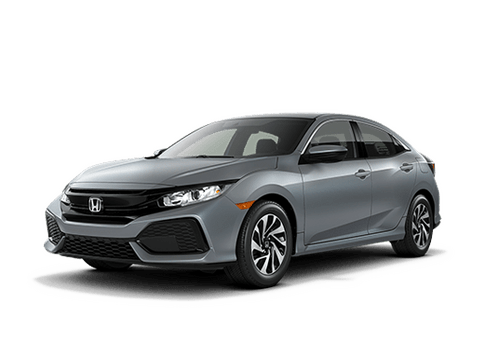 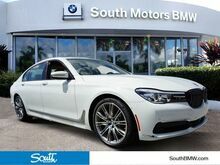 2019 BMW 7 Series 740i Gray Metallic 3.0L I6 DOHC 24V TwinPower Turbo RWD Factory MSRP: $96,160 21/29 City/Highway MPG 16 Speakers, 4-Wheel Disc Brakes, ABS brakes, Adaptive suspension, Air Conditioning, Alloy wheels, AM/FM radio: SiriusXM, Anti-whiplash front head restraints, Auto High-beam Headlights, Auto tilt-away steering wheel, Auto-dimming door mirrors, Auto-dimming Rear-View mirror, Auto-leveling suspension, Automatic temperature control, Blind spot sensor: Blind Spot Detection warning, Brake assist, Bumpers: body-color, CD player, Dakota Leather Upholstery, Delay-off headlights, Door auto-latch, Driver door bin, Driver vanity mirror, Dual front impact airbags, Dual front side impact airbags, Electronic Stability Control, Emergency communication system: BMW Assist eCall, Exterior Parking Camera Rear, Four wheel independent suspension, Front anti-roll bar, Front Bucket Seats, Front Center Armrest, Front dual zone A/C, Front reading lights, Fully automatic headlights, Garage door transmitter, Genuine wood console insert, Genuine wood dashboard insert, Genuine wood door panel insert, harman/kardon Surround Sound System, harman/kardon® Speakers, Head restraints memory, Heated door mirrors, Heated Front Seats, Heated front seats, Illuminated entry, Knee airbag, Leather Shift Knob, Leather steering wheel, Low tire pressure warning, Lumbar Support, Memory seat, Navigation System, Occupant sensing airbag, Outside temperature display, Overhead airbag, Overhead console, Panic alarm, Passenger door bin, Passenger vanity mirror, Power adjustable front head restraints, Power door mirrors, Power driver seat, Power Front Seats, Power moonroof, Power passenger seat, Power steering, Power windows, Radio Control US, Radio data system, Radio: AM/FM/HD w/In-Dash Single CD, Rain sensing wipers, Rear air conditioning, Rear anti-roll bar, Rear dual zone A/C, Rear reading lights, Rear seat center armrest, Rear Window Blind, Rear window defroster, Remote keyless entry, Security system, SiriusXM Satellite Radio, Speed control, Speed-sensing steering, Speed-Sensitive Wipers, Sport steering wheel, Steering wheel memory, Steering wheel mounted audio controls, Tachometer, Telescoping steering wheel, Tilt steering wheel, Traction control, Trip computer, Variably intermittent wipers, and Weather band radio. 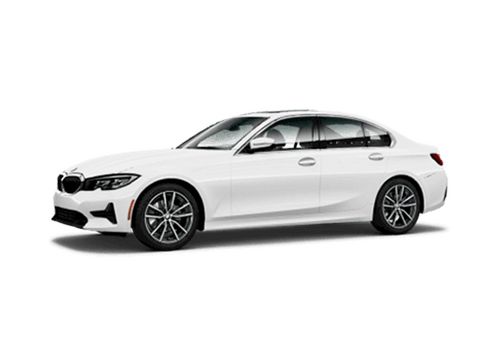 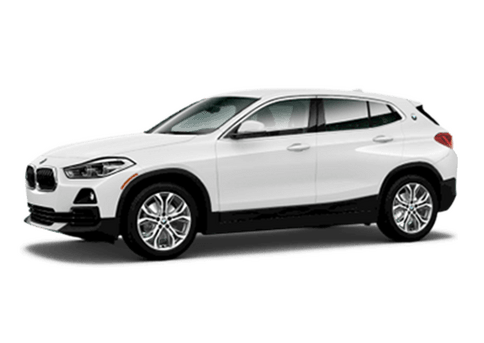 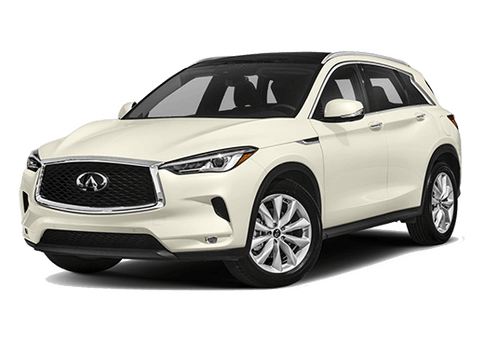 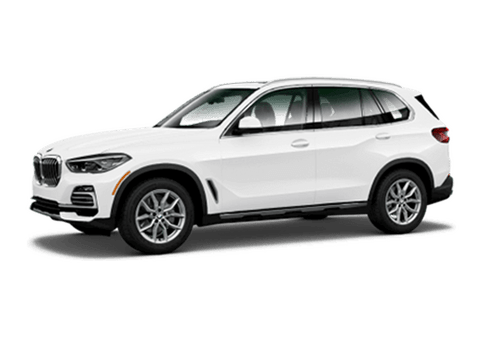 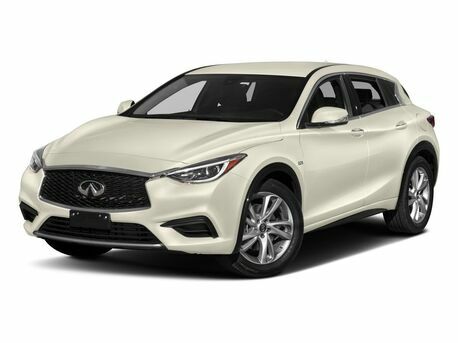 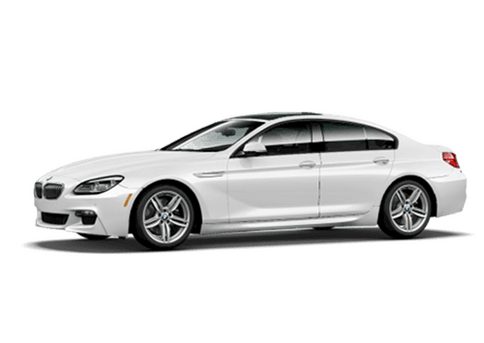 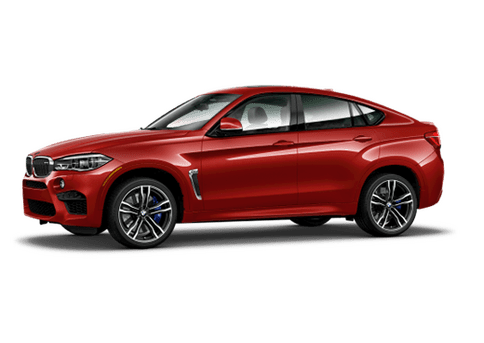 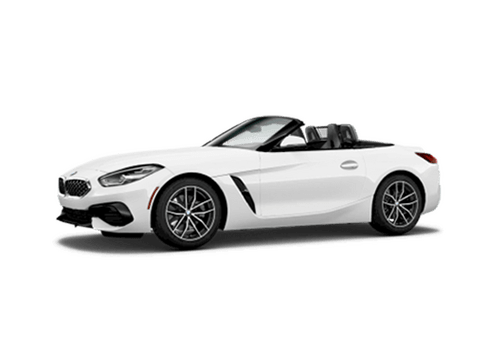 2019 BMW 7 Series 740i Alpine White 3.0L I6 DOHC 24V TwinPower Turbo RWD Factory MSRP: $94,205 21/29 City/Highway MPG 16 Speakers, 4-Wheel Disc Brakes, ABS brakes, Adaptive suspension, Air Conditioning, AM/FM radio: SiriusXM, Anti-whiplash front head restraints, Auto High-beam Headlights, Auto tilt-away steering wheel, Auto-dimming door mirrors, Auto-dimming Rear-View mirror, Auto-leveling suspension, Automatic temperature control, Blind spot sensor: Blind Spot Detection warning, Brake assist, Bumpers: body-color, CD player, Dakota Leather Upholstery, Delay-off headlights, Door auto-latch, Driver door bin, Driver vanity mirror, Dual front impact airbags, Dual front side impact airbags, Electronic Stability Control, Emergency communication system: BMW Assist eCall, Exterior Parking Camera Rear, Four wheel independent suspension, Front anti-roll bar, Front Bucket Seats, Front Center Armrest, Front dual zone A/C, Front reading lights, Fully automatic headlights, Garage door transmitter, Genuine wood console insert, Genuine wood dashboard insert, Genuine wood door panel insert, harman/kardon Surround Sound System, harman/kardon® Speakers, Head restraints memory, Heated door mirrors, Heated Front Seats, Heated front seats, Illuminated entry, Knee airbag, Leather Shift Knob, Leather steering wheel, Low tire pressure warning, Lumbar Support, Memory seat, Navigation System, Occupant sensing airbag, Outside temperature display, Overhead airbag, Overhead console, Panic alarm, Passenger door bin, Passenger vanity mirror, Power adjustable front head restraints, Power door mirrors, Power driver seat, Power Front Seats, Power moonroof, Power passenger seat, Power steering, Power windows, Radio Control US, Radio data system, Radio: AM/FM/HD w/In-Dash Single CD, Rain sensing wipers, Rear air conditioning, Rear anti-roll bar, Rear dual zone A/C, Rear reading lights, Rear seat center armrest, Rear Window Blind, Rear window defroster, Remote keyless entry, Security system, SiriusXM Satellite Radio, Speed control, Speed-sensing steering, Speed-Sensitive Wipers, Sport steering wheel, Steering wheel memory, Steering wheel mounted audio controls, Tachometer, Telescoping steering wheel, Tilt steering wheel, Traction control, Trip computer, Variably intermittent wipers, Weather band radio, and Wheels: 18" x 8.0" V-Spoke Style 642. 2019 BMW 7 Series 740i Alpine White 3.0L I6 DOHC 24V TwinPower Turbo RWD Factory MSRP: $100,970 21/29 City/Highway MPG 16 Speakers, 4-Wheel Disc Brakes, ABS brakes, Adaptive suspension, Air Conditioning, Alloy wheels, AM/FM radio: SiriusXM, Anti-whiplash front head restraints, Auto High-beam Headlights, Auto tilt-away steering wheel, Auto-dimming door mirrors, Auto-dimming Rear-View mirror, Auto-leveling suspension, Automatic temperature control, Blind spot sensor: Blind Spot Detection warning, Brake assist, Bumpers: body-color, CD player, Dakota Leather Upholstery, Delay-off headlights, Door auto-latch, Driver door bin, Driver vanity mirror, Dual front impact airbags, Dual front side impact airbags, Electronic Stability Control, Emergency communication system: BMW Assist eCall, Exterior Parking Camera Rear, Four wheel independent suspension, Front anti-roll bar, Front Bucket Seats, Front Center Armrest, Front dual zone A/C, Front reading lights, Fully automatic headlights, Garage door transmitter, Genuine wood console insert, Genuine wood dashboard insert, Genuine wood door panel insert, harman/kardon Surround Sound System, harman/kardon® Speakers, Head restraints memory, Heated door mirrors, Heated Front Seats, Heated front seats, Illuminated entry, Knee airbag, Leather Shift Knob, Leather steering wheel, Low tire pressure warning, Lumbar Support, Memory seat, Navigation System, Occupant sensing airbag, Outside temperature display, Overhead airbag, Overhead console, Panic alarm, Passenger door bin, Passenger vanity mirror, Power adjustable front head restraints, Power door mirrors, Power driver seat, Power Front Seats, Power moonroof, Power passenger seat, Power steering, Power windows, Radio Control US, Radio data system, Radio: AM/FM/HD w/In-Dash Single CD, Rain sensing wipers, Rear air conditioning, Rear anti-roll bar, Rear dual zone A/C, Rear reading lights, Rear seat center armrest, Rear Window Blind, Rear window defroster, Remote keyless entry, Security system, SiriusXM Satellite Radio, Speed control, Speed-sensing steering, Speed-Sensitive Wipers, Sport steering wheel, Steering wheel memory, Steering wheel mounted audio controls, Tachometer, Telescoping steering wheel, Tilt steering wheel, Traction control, Trip computer, Variably intermittent wipers, and Weather band radio. 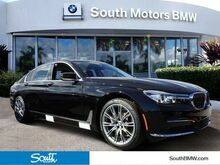 2019 BMW 7 Series 740i Black Metallic 3.0L I6 DOHC 24V TwinPower Turbo RWD Factory MSRP: $101,005 21/29 City/Highway MPG 16 Speakers, 4-Wheel Disc Brakes, ABS brakes, Adaptive suspension, Air Conditioning, AM/FM radio: SiriusXM, Anti-whiplash front head restraints, Auto High-beam Headlights, Auto tilt-away steering wheel, Auto-dimming door mirrors, Auto-dimming Rear-View mirror, Auto-leveling suspension, Automatic temperature control, Blind spot sensor: Blind Spot Detection warning, Brake assist, Bumpers: body-color, CD player, Dakota Leather Upholstery, Delay-off headlights, Door auto-latch, Driver door bin, Driver vanity mirror, Dual front impact airbags, Dual front side impact airbags, Electronic Stability Control, Emergency communication system: BMW Assist eCall, Exterior Parking Camera Rear, Four wheel independent suspension, Front anti-roll bar, Front Bucket Seats, Front Center Armrest, Front dual zone A/C, Front reading lights, Fully automatic headlights, Garage door transmitter, Genuine wood console insert, Genuine wood dashboard insert, Genuine wood door panel insert, harman/kardon Surround Sound System, harman/kardon® Speakers, Head restraints memory, Heated door mirrors, Heated Front Seats, Heated front seats, Illuminated entry, Knee airbag, Leather Shift Knob, Leather steering wheel, Low tire pressure warning, Lumbar Support, Memory seat, Navigation System, Occupant sensing airbag, Outside temperature display, Overhead airbag, Overhead console, Panic alarm, Passenger door bin, Passenger vanity mirror, Power adjustable front head restraints, Power door mirrors, Power driver seat, Power Front Seats, Power moonroof, Power passenger seat, Power steering, Power windows, Radio Control US, Radio data system, Radio: AM/FM/HD w/In-Dash Single CD, Rain sensing wipers, Rear air conditioning, Rear anti-roll bar, Rear dual zone A/C, Rear reading lights, Rear seat center armrest, Rear Window Blind, Rear window defroster, Remote keyless entry, Security system, SiriusXM Satellite Radio, Speed control, Speed-sensing steering, Speed-Sensitive Wipers, Sport steering wheel, Steering wheel memory, Steering wheel mounted audio controls, Tachometer, Telescoping steering wheel, Tilt steering wheel, Traction control, Trip computer, Variably intermittent wipers, Weather band radio, and Wheels: 18" x 8.0" V-Spoke Style 642. 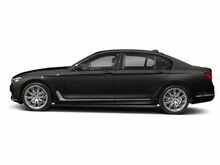 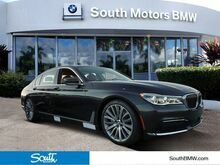 2019 BMW 7 Series 750i Carbon Black Metallic 4.4L V8 32V Twin Turbocharged RWD Factory MSRP: $102,795 16 Speakers, 4-Wheel Disc Brakes, ABS brakes, Adaptive suspension, Air Conditioning, AM/FM radio: SiriusXM, Anti-whiplash front head restraints, Auto High-beam Headlights, Auto tilt-away steering wheel, Auto-dimming door mirrors, Auto-dimming Rear-View mirror, Auto-leveling suspension, Automatic temperature control, Blind spot sensor: Blind Spot Detection warning, Brake assist, Bumpers: body-color, CD player, Delay-off headlights, Door auto-latch, Driver door bin, Driver vanity mirror, Dual front impact airbags, Dual front side impact airbags, Electronic Stability Control, Emergency communication system: BMW Assist eCall, Exterior Parking Camera Rear, Four wheel independent suspension, Front anti-roll bar, Front Bucket Seats, Front Center Armrest, Front dual zone A/C, Front reading lights, Fully automatic headlights, Garage door transmitter, Genuine wood console insert, Genuine wood dashboard insert, Genuine wood door panel insert, harman/kardon Surround Sound System, harman/kardon® Speakers, Head restraints memory, Heads-Up Display, Heated door mirrors, Heated Front Seats, Heated front seats, Illuminated entry, Knee airbag, Leather Shift Knob, Leather steering wheel, Low tire pressure warning, Memory seat, Multi-Contour Seats, Nappa Leather Upholstery, Navigation System, Occupant sensing airbag, Outside temperature display, Overhead airbag, Overhead console, Panic alarm, Passenger door bin, Passenger vanity mirror, Power adjustable front head restraints, Power door mirrors, Power driver seat, Power moonroof, Power passenger seat, Power steering, Power windows, Radio Control US, Radio data system, Radio: AM/FM/HD w/In-Dash Single CD, Rain sensing wipers, Rear air conditioning, Rear anti-roll bar, Rear dual zone A/C, Rear reading lights, Rear seat center armrest, Rear Window Blind, Rear window defroster, Remote keyless entry, Security system, SiriusXM Satellite Radio, Speed control, Speed-sensing steering, Speed-Sensitive Wipers, Sport steering wheel, Steering wheel memory, Steering wheel mounted audio controls, Tachometer, Telescoping steering wheel, Tilt steering wheel, Traction control, Trip computer, Variably intermittent wipers, Weather band radio, and Wheels: 19" x 8.5" Double-Spoke Style 630. 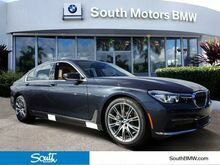 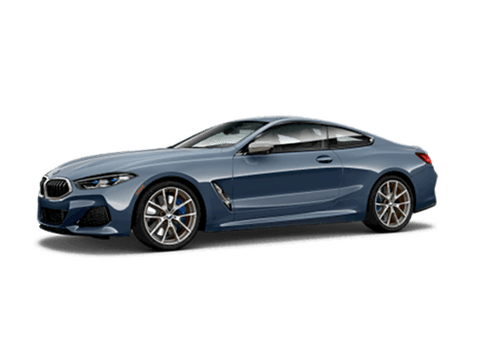 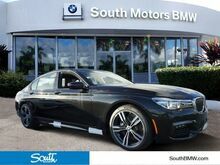 2019 BMW 7 Series 750i Dark Graphite 4.4L V8 32V Twin Turbocharged RWD Factory MSRP: $105,790 16 Speakers, 4-Wheel Disc Brakes, ABS brakes, Adaptive suspension, Air Conditioning, AM/FM radio: SiriusXM, Anti-whiplash front head restraints, Auto High-beam Headlights, Auto tilt-away steering wheel, Auto-dimming door mirrors, Auto-dimming Rear-View mirror, Auto-leveling suspension, Automatic temperature control, Blind spot sensor: Blind Spot Detection warning, Brake assist, Bumpers: body-color, CD player, Delay-off headlights, Door auto-latch, Driver door bin, Driver vanity mirror, Dual front impact airbags, Dual front side impact airbags, Electronic Stability Control, Emergency communication system: BMW Assist eCall, Exterior Parking Camera Rear, Four wheel independent suspension, Front anti-roll bar, Front Bucket Seats, Front Center Armrest, Front dual zone A/C, Front reading lights, Fully automatic headlights, Garage door transmitter, Genuine wood console insert, Genuine wood dashboard insert, Genuine wood door panel insert, harman/kardon Surround Sound System, harman/kardon® Speakers, Head restraints memory, Heads-Up Display, Heated door mirrors, Heated Front Seats, Heated front seats, Illuminated entry, Knee airbag, Leather Shift Knob, Leather steering wheel, Low tire pressure warning, Memory seat, Multi-Contour Seats, Nappa Leather Upholstery, Navigation System, Occupant sensing airbag, Outside temperature display, Overhead airbag, Overhead console, Panic alarm, Passenger door bin, Passenger vanity mirror, Power adjustable front head restraints, Power door mirrors, Power driver seat, Power moonroof, Power passenger seat, Power steering, Power windows, Radio Control US, Radio data system, Radio: AM/FM/HD w/In-Dash Single CD, Rain sensing wipers, Rear air conditioning, Rear anti-roll bar, Rear dual zone A/C, Rear reading lights, Rear seat center armrest, Rear Window Blind, Rear window defroster, Remote keyless entry, Security system, SiriusXM Satellite Radio, Speed control, Speed-sensing steering, Speed-Sensitive Wipers, Sport steering wheel, Steering wheel memory, Steering wheel mounted audio controls, Tachometer, Telescoping steering wheel, Tilt steering wheel, Traction control, Trip computer, Variably intermittent wipers, Weather band radio, and Wheels: 19" x 8.5" Double-Spoke Style 630. 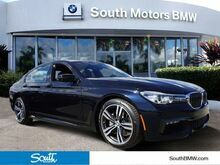 2019 BMW 7 Series 740i Black Sapphire Metallic 3.0L I6 DOHC 24V TwinPower Turbo RWD Factory MSRP: $92,795 21/29 City/Highway MPG 16 Speakers, 4-Wheel Disc Brakes, ABS brakes, Adaptive suspension, Air Conditioning, Alloy wheels, AM/FM radio: SiriusXM, Anti-whiplash front head restraints, Auto High-beam Headlights, Auto tilt-away steering wheel, Auto-dimming door mirrors, Auto-dimming Rear-View mirror, Auto-leveling suspension, Automatic temperature control, Blind spot sensor: Blind Spot Detection warning, Brake assist, Bumpers: body-color, CD player, Dakota Leather Upholstery, Delay-off headlights, Door auto-latch, Driver door bin, Driver vanity mirror, Dual front impact airbags, Dual front side impact airbags, Electronic Stability Control, Emergency communication system: BMW Assist eCall, Exterior Parking Camera Rear, Four wheel independent suspension, Front anti-roll bar, Front Bucket Seats, Front Center Armrest, Front dual zone A/C, Front reading lights, Fully automatic headlights, Garage door transmitter, Genuine wood console insert, Genuine wood dashboard insert, Genuine wood door panel insert, harman/kardon Surround Sound System, harman/kardon® Speakers, Head restraints memory, Heated door mirrors, Heated Front Seats, Heated front seats, Illuminated entry, Knee airbag, Leather Shift Knob, Leather steering wheel, Low tire pressure warning, Lumbar Support, Memory seat, Navigation System, Occupant sensing airbag, Outside temperature display, Overhead airbag, Overhead console, Panic alarm, Passenger door bin, Passenger vanity mirror, Power adjustable front head restraints, Power door mirrors, Power driver seat, Power Front Seats, Power moonroof, Power passenger seat, Power steering, Power windows, Radio Control US, Radio data system, Radio: AM/FM/HD w/In-Dash Single CD, Rain sensing wipers, Rear air conditioning, Rear anti-roll bar, Rear dual zone A/C, Rear reading lights, Rear seat center armrest, Rear Window Blind, Rear window defroster, Remote keyless entry, Security system, SiriusXM Satellite Radio, Speed control, Speed-sensing steering, Speed-Sensitive Wipers, Sport steering wheel, Steering wheel memory, Steering wheel mounted audio controls, Tachometer, Telescoping steering wheel, Tilt steering wheel, Traction control, Trip computer, Variably intermittent wipers, and Weather band radio. 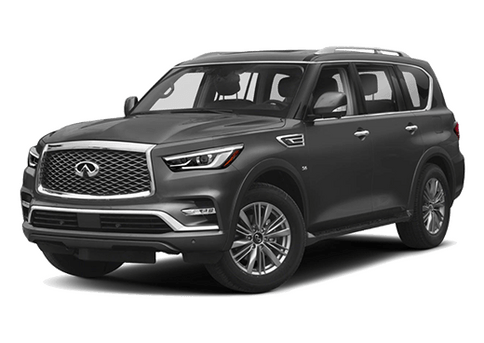 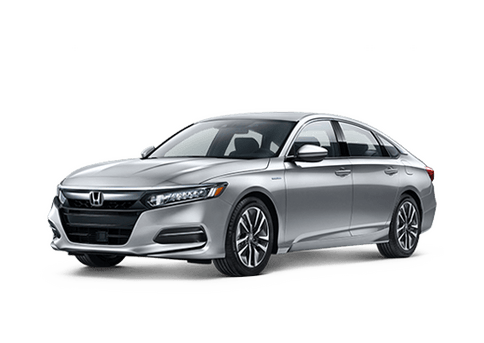 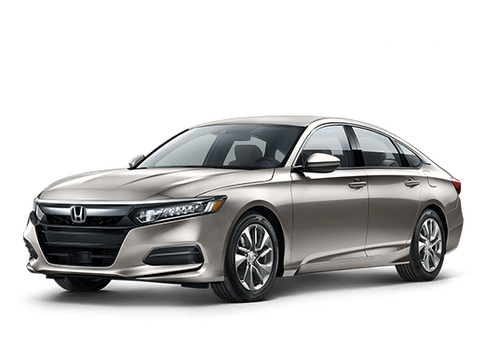 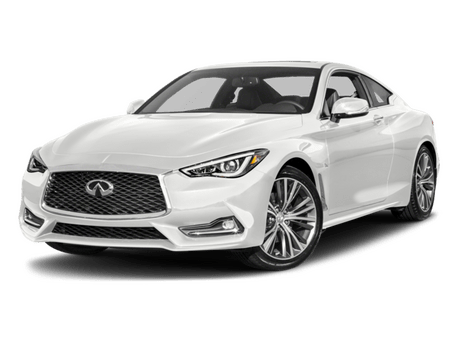 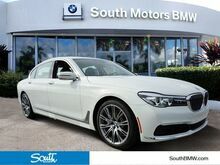 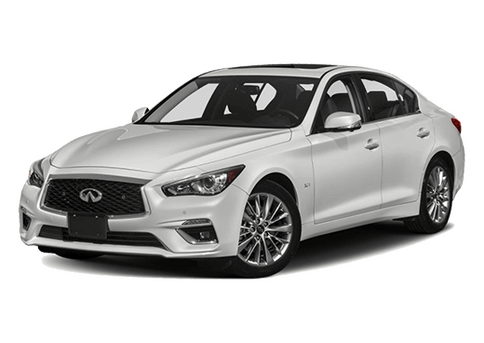 2019 BMW 7 Series 750i White Metallic 4.4L V8 32V Twin Turbocharged RWD Factory MSRP: $108,245 16 Speakers, 4-Wheel Disc Brakes, ABS brakes, Adaptive suspension, Air Conditioning, AM/FM radio: SiriusXM, Anti-whiplash front head restraints, Auto High-beam Headlights, Auto tilt-away steering wheel, Auto-dimming door mirrors, Auto-dimming Rear-View mirror, Auto-leveling suspension, Automatic temperature control, Blind spot sensor: Blind Spot Detection warning, Brake assist, Bumpers: body-color, CD player, Delay-off headlights, Door auto-latch, Driver door bin, Driver vanity mirror, Dual front impact airbags, Dual front side impact airbags, Electronic Stability Control, Emergency communication system: BMW Assist eCall, Exterior Parking Camera Rear, Four wheel independent suspension, Front anti-roll bar, Front Bucket Seats, Front Center Armrest, Front dual zone A/C, Front reading lights, Fully automatic headlights, Garage door transmitter, Genuine wood console insert, Genuine wood dashboard insert, Genuine wood door panel insert, harman/kardon Surround Sound System, harman/kardon® Speakers, Head restraints memory, Heads-Up Display, Heated door mirrors, Heated Front Seats, Heated front seats, Illuminated entry, Knee airbag, Leather Shift Knob, Leather steering wheel, Low tire pressure warning, Memory seat, Multi-Contour Seats, Nappa Leather Upholstery, Navigation System, Occupant sensing airbag, Outside temperature display, Overhead airbag, Overhead console, Panic alarm, Passenger door bin, Passenger vanity mirror, Power adjustable front head restraints, Power door mirrors, Power driver seat, Power moonroof, Power passenger seat, Power steering, Power windows, Radio Control US, Radio data system, Radio: AM/FM/HD w/In-Dash Single CD, Rain sensing wipers, Rear air conditioning, Rear anti-roll bar, Rear dual zone A/C, Rear reading lights, Rear seat center armrest, Rear Window Blind, Rear window defroster, Remote keyless entry, Security system, SiriusXM Satellite Radio, Speed control, Speed-sensing steering, Speed-Sensitive Wipers, Sport steering wheel, Steering wheel memory, Steering wheel mounted audio controls, Tachometer, Telescoping steering wheel, Tilt steering wheel, Traction control, Trip computer, Variably intermittent wipers, Weather band radio, and Wheels: 19" x 8.5" Double-Spoke Style 630. 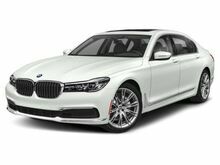 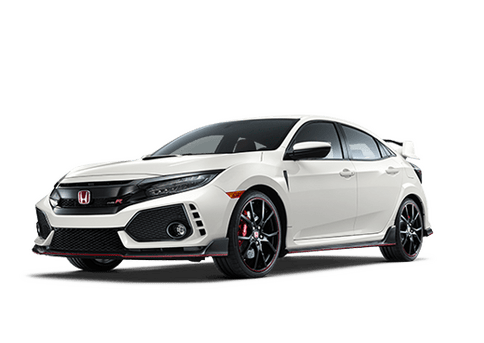 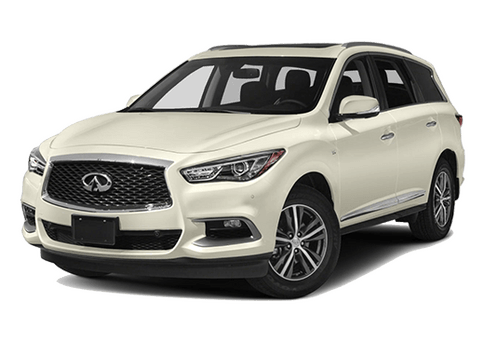 2019 BMW 7 Series 740i Alpine White 3.0L I6 DOHC 24V TwinPower Turbo RWD Factory MSRP: $94,315 21/29 City/Highway MPG 16 Speakers, 4-Wheel Disc Brakes, ABS brakes, Adaptive suspension, Air Conditioning, Alloy wheels, AM/FM radio: SiriusXM, Anti-whiplash front head restraints, Auto High-beam Headlights, Auto tilt-away steering wheel, Auto-dimming door mirrors, Auto-dimming Rear-View mirror, Auto-leveling suspension, Automatic temperature control, Blind spot sensor: Blind Spot Detection warning, Brake assist, Bumpers: body-color, CD player, Dakota Leather Upholstery, Delay-off headlights, Door auto-latch, Driver door bin, Driver vanity mirror, Dual front impact airbags, Dual front side impact airbags, Electronic Stability Control, Emergency communication system: BMW Assist eCall, Exterior Parking Camera Rear, Four wheel independent suspension, Front anti-roll bar, Front Bucket Seats, Front Center Armrest, Front dual zone A/C, Front reading lights, Fully automatic headlights, Garage door transmitter, Genuine wood console insert, Genuine wood dashboard insert, Genuine wood door panel insert, harman/kardon Surround Sound System, harman/kardon® Speakers, Head restraints memory, Heated door mirrors, Heated Front Seats, Heated front seats, Illuminated entry, Knee airbag, Leather Shift Knob, Leather steering wheel, Low tire pressure warning, Lumbar Support, Memory seat, Navigation System, Occupant sensing airbag, Outside temperature display, Overhead airbag, Overhead console, Panic alarm, Passenger door bin, Passenger vanity mirror, Power adjustable front head restraints, Power door mirrors, Power driver seat, Power Front Seats, Power moonroof, Power passenger seat, Power steering, Power windows, Radio Control US, Radio data system, Radio: AM/FM/HD w/In-Dash Single CD, Rain sensing wipers, Rear air conditioning, Rear anti-roll bar, Rear dual zone A/C, Rear reading lights, Rear seat center armrest, Rear Window Blind, Rear window defroster, Remote keyless entry, Security system, SiriusXM Satellite Radio, Speed control, Speed-sensing steering, Speed-Sensitive Wipers, Sport steering wheel, Steering wheel memory, Steering wheel mounted audio controls, Tachometer, Telescoping steering wheel, Tilt steering wheel, Traction control, Trip computer, Variably intermittent wipers, and Weather band radio. 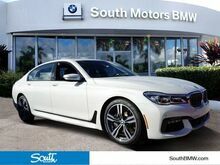 2019 BMW 7 Series 740i Gray Metallic 3.0L I6 DOHC 24V TwinPower Turbo RWD Factory MSRP: $95,045 21/29 City/Highway MPG 16 Speakers, 4-Wheel Disc Brakes, ABS brakes, Adaptive suspension, Air Conditioning, Alloy wheels, AM/FM radio: SiriusXM, Anti-whiplash front head restraints, Auto High-beam Headlights, Auto tilt-away steering wheel, Auto-dimming door mirrors, Auto-dimming Rear-View mirror, Auto-leveling suspension, Automatic temperature control, Blind spot sensor: Blind Spot Detection warning, Brake assist, Bumpers: body-color, CD player, Dakota Leather Upholstery, Delay-off headlights, Door auto-latch, Driver door bin, Driver vanity mirror, Dual front impact airbags, Dual front side impact airbags, Electronic Stability Control, Emergency communication system: BMW Assist eCall, Exterior Parking Camera Rear, Four wheel independent suspension, Front anti-roll bar, Front Bucket Seats, Front Center Armrest, Front dual zone A/C, Front reading lights, Fully automatic headlights, Garage door transmitter, Genuine wood console insert, Genuine wood dashboard insert, Genuine wood door panel insert, harman/kardon Surround Sound System, harman/kardon® Speakers, Head restraints memory, Heated door mirrors, Heated Front Seats, Heated front seats, Illuminated entry, Knee airbag, Leather Shift Knob, Leather steering wheel, Low tire pressure warning, Lumbar Support, Memory seat, Navigation System, Occupant sensing airbag, Outside temperature display, Overhead airbag, Overhead console, Panic alarm, Passenger door bin, Passenger vanity mirror, Power adjustable front head restraints, Power door mirrors, Power driver seat, Power Front Seats, Power moonroof, Power passenger seat, Power steering, Power windows, Radio Control US, Radio data system, Radio: AM/FM/HD w/In-Dash Single CD, Rain sensing wipers, Rear air conditioning, Rear anti-roll bar, Rear dual zone A/C, Rear reading lights, Rear seat center armrest, Rear Window Blind, Rear window defroster, Remote keyless entry, Security system, SiriusXM Satellite Radio, Speed control, Speed-sensing steering, Speed-Sensitive Wipers, Sport steering wheel, Steering wheel memory, Steering wheel mounted audio controls, Tachometer, Telescoping steering wheel, Tilt steering wheel, Traction control, Trip computer, Variably intermittent wipers, and Weather band radio. 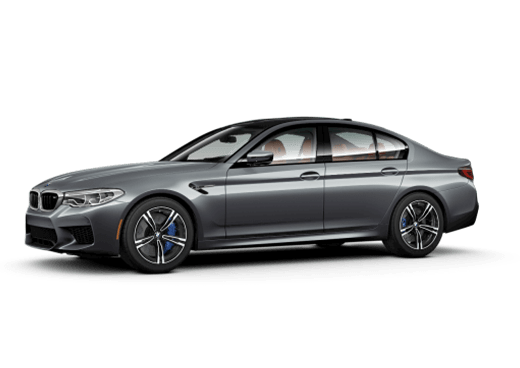 2019 BMW 7 Series 740i Carbon Black Metallic 3.0L I6 DOHC 24V TwinPower Turbo RWD Factory MSRP: $95,595 21/29 City/Highway MPG 16 Speakers, 4-Wheel Disc Brakes, ABS brakes, Adaptive suspension, Air Conditioning, Alloy wheels, AM/FM radio: SiriusXM, Anti-whiplash front head restraints, Auto High-beam Headlights, Auto tilt-away steering wheel, Auto-dimming door mirrors, Auto-dimming Rear-View mirror, Auto-leveling suspension, Automatic temperature control, Blind spot sensor: Blind Spot Detection warning, Brake assist, Bumpers: body-color, CD player, Dakota Leather Upholstery, Delay-off headlights, Door auto-latch, Driver door bin, Driver vanity mirror, Dual front impact airbags, Dual front side impact airbags, Electronic Stability Control, Emergency communication system: BMW Assist eCall, Exterior Parking Camera Rear, Four wheel independent suspension, Front anti-roll bar, Front Bucket Seats, Front Center Armrest, Front dual zone A/C, Front reading lights, Fully automatic headlights, Garage door transmitter, Genuine wood console insert, Genuine wood dashboard insert, Genuine wood door panel insert, harman/kardon Surround Sound System, harman/kardon® Speakers, Head restraints memory, Heated door mirrors, Heated Front Seats, Heated front seats, Illuminated entry, Knee airbag, Leather Shift Knob, Leather steering wheel, Low tire pressure warning, Lumbar Support, Memory seat, Navigation System, Occupant sensing airbag, Outside temperature display, Overhead airbag, Overhead console, Panic alarm, Passenger door bin, Passenger vanity mirror, Power adjustable front head restraints, Power door mirrors, Power driver seat, Power Front Seats, Power moonroof, Power passenger seat, Power steering, Power windows, Radio Control US, Radio data system, Radio: AM/FM/HD w/In-Dash Single CD, Rain sensing wipers, Rear air conditioning, Rear anti-roll bar, Rear dual zone A/C, Rear reading lights, Rear seat center armrest, Rear Window Blind, Rear window defroster, Remote keyless entry, Security system, SiriusXM Satellite Radio, Speed control, Speed-sensing steering, Speed-Sensitive Wipers, Sport steering wheel, Steering wheel memory, Steering wheel mounted audio controls, Tachometer, Telescoping steering wheel, Tilt steering wheel, Traction control, Trip computer, Variably intermittent wipers, and Weather band radio. 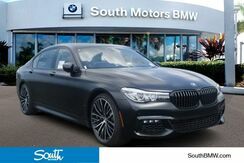 2019 BMW 7 Series 740i Carbon Black Metallic 3.0L I6 DOHC 24V TwinPower Turbo RWD Factory MSRP: $97,045 21/29 City/Highway MPG 16 Speakers, 4-Wheel Disc Brakes, ABS brakes, Adaptive suspension, Air Conditioning, Alloy wheels, AM/FM radio: SiriusXM, Anti-whiplash front head restraints, Auto High-beam Headlights, Auto tilt-away steering wheel, Auto-dimming door mirrors, Auto-dimming Rear-View mirror, Auto-leveling suspension, Automatic temperature control, Blind spot sensor: Blind Spot Detection warning, Brake assist, Bumpers: body-color, CD player, Dakota Leather Upholstery, Delay-off headlights, Door auto-latch, Driver door bin, Driver vanity mirror, Dual front impact airbags, Dual front side impact airbags, Electronic Stability Control, Emergency communication system: BMW Assist eCall, Exterior Parking Camera Rear, Four wheel independent suspension, Front anti-roll bar, Front Bucket Seats, Front Center Armrest, Front dual zone A/C, Front reading lights, Fully automatic headlights, Garage door transmitter, Genuine wood console insert, Genuine wood dashboard insert, Genuine wood door panel insert, harman/kardon Surround Sound System, harman/kardon® Speakers, Head restraints memory, Heated door mirrors, Heated Front Seats, Heated front seats, Illuminated entry, Knee airbag, Leather Shift Knob, Leather steering wheel, Low tire pressure warning, Lumbar Support, Memory seat, Navigation System, Occupant sensing airbag, Outside temperature display, Overhead airbag, Overhead console, Panic alarm, Passenger door bin, Passenger vanity mirror, Power adjustable front head restraints, Power door mirrors, Power driver seat, Power Front Seats, Power moonroof, Power passenger seat, Power steering, Power windows, Radio Control US, Radio data system, Radio: AM/FM/HD w/In-Dash Single CD, Rain sensing wipers, Rear air conditioning, Rear anti-roll bar, Rear dual zone A/C, Rear reading lights, Rear seat center armrest, Rear Window Blind, Rear window defroster, Remote keyless entry, Security system, SiriusXM Satellite Radio, Speed control, Speed-sensing steering, Speed-Sensitive Wipers, Sport steering wheel, Steering wheel memory, Steering wheel mounted audio controls, Tachometer, Telescoping steering wheel, Tilt steering wheel, Traction control, Trip computer, Variably intermittent wipers, and Weather band radio.